While most of the watches sold these days are of the electronic variety, a lot of people still own (and buy!) mechanical watches. That’s a matter of personal preference, but many people who are fans and collectors of luxury watches just like the feel and performance of mechanical timepieces. 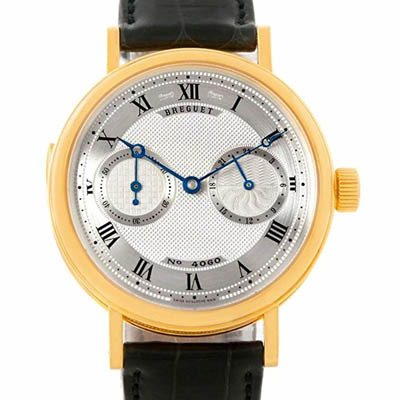 A popular subset of mechanical watches are automatic watches, which are also known as self-winding watches. They only self-wind if you wear them, which is where a watch winder can come in handy. When you want to wear a watch, you want to put it on and be ready to go. You don’t want to have to wind it, adjust it, or set the time. Even self-winding watches have a power reserve, which is the set amount of time that it will continue to run without winding. If you’re not wearing it and that time elapses, the watch will stop running. If you only own one automatic watch, you likely won’t encounter that problem very often, as you’ll likely be wearing it pretty much every day. As is the nature of collecting, a lot of people who buy one automatic watch suddenly find themselves buying a second one, or a third, or a dozen more. 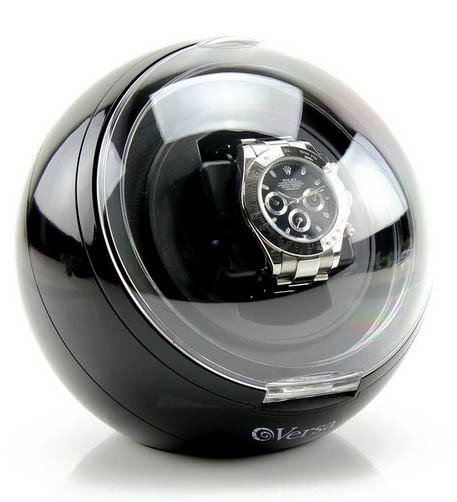 By the time you own multiple automatic watches, you’ll find that you can’t be wearing all of them every day and that’s where a watch winder can be a huge help. If you’re a fan of wristwatches, you likely won’t know the name Acer, at least not from a timepiece perspective. Acer is a Taiwanese company that was founded in 1976, and is primarily known as a manufacturer of computers and peripherals. I own an Acer laptop computer, and it’s served me well for years. 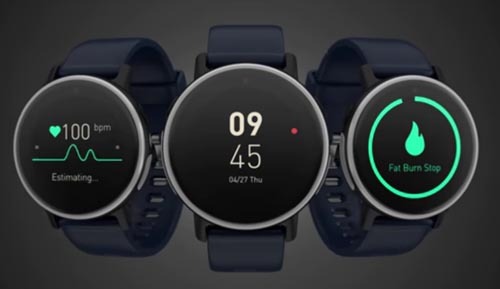 They’re branching out, as are a lot of other manufacturers of electronic devices, and the company recently announced the introduction of Acer Leapware, the company’s first venture into the smartwatch market. While smart watches are something that traditional watch makers have been a bit reluctant to embrace, computer companies have been pretty eager to get into the market, as the devices can integrate well with some of the other products in their product line. 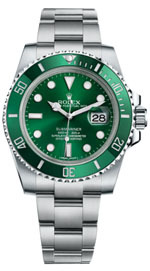 Rolex Submariner Date – Best Watch for Investment? 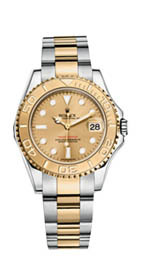 Rolex Submariner Date – Best Value Over Time? Most people who buy designer watches aren’t interested in anything but a timepiece that may also add some style to their wardrobe. There’s nothing wrong with that; people are free to buy watches for any reason they like, and telling the time is their primary function. If it makes you look like a snappy dresser, too, that’s a nice side effect. 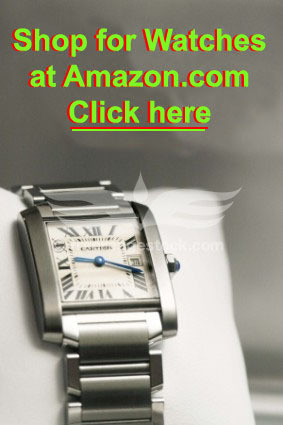 But some watch buyers are interested in making money, or at least getting the best bang for their buck. After all, it’s possible that in time, you may wish to part with your watch in order to buy another one, and if that’s the case, then you want to buy a luxury watch that will offer you the best return on your initial investment. Gray Market Watches – What Are They? If you buy luxury goods of any kind, you’ll notice that they tend to be sold only by a limited number of dealers. Most luxury products are sold either by the manufacturer itself, or by a select group of retailers chosen by the manufacturer to represent their brand in public. Luxury products that are sold outside of these networks are known as “gray market” products, and people who like luxury timepieces should be aware that gray market watches are available for sale all over the Internet. What, exactly, are gray market watches? Is it OK to buy them? Is there a reason to buy gray market watches? Is there are a reason to avoid them? Read on for the full article about gray market watches. Each year about this time, watch manufacturers and fans from around the world gather in Basel, Switzerland for the annual Baselworld convention. Here, new makers try to get their wares noticed and older manufacturers try to turn heads by introducing new features, outrageous designs and ultra-limited edition timepieces. If you’re looking to see which watches will next be on the shelf at Wal-Mart, you won’t find them at Baselworld. No, here you’ll find the most insane designs, the oddest features, and the highest prices, as there seems to be no limit to how much money one can charge for a limited edition gold or platinum watch that’s limited to a half a dozen piece and which includes features it would never occur to you to use. Still, some modesty prevails and a few manufacturers will introduce models that are a bit more laid back in order to appeal to somewhat different tastes. Here we’ll talk about three different watches from Baselworld that are interesting but not off-the-wall insane. Swiss Made Watches – What Does It Mean? 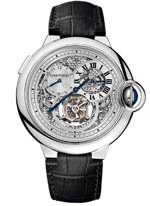 Switzerland has long had a great reputation for making quality timepieces, and for years, many fine watches have been labeled “Swiss made.” Many of the world’s most exclusive and best-known watchmaking companies are based in Switzerland, and a lot of the marketing that these companies use is based on the fact that their products are Swiss made watches. That’s important, as they’ve managed to give the public the impression that Swiss made watches are important, and according to one source, people are even willing to pay more for Swiss made watches than they might pay for one made elsewhere, such as in the U.S. or Japan. 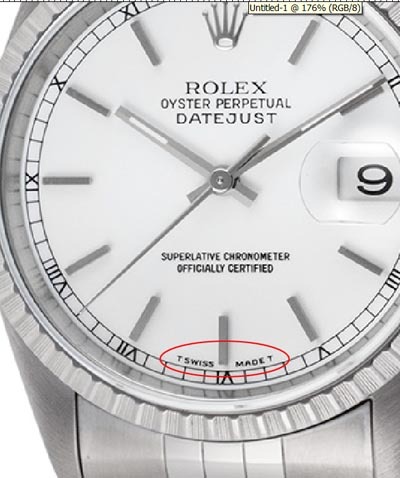 But what, exactly, are Swiss made watches? The answer isn’t as obvious as you might thing. It’s been a tough year for the Swiss watch industry. Sales are down by a considerable margin, and a few people in the industry are growing a bit uncomfortable at the thought of a repeat of the disaster of the 1970s. 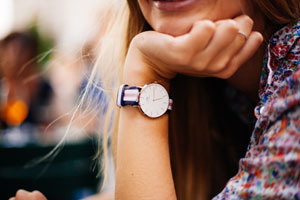 At that time, the then-recent introduction of quartz watches, which were highly accurate and relatively inexpensive, nearly brought the mechanical watch industry to its knees. The Swiss watch industry did recover, but not before a number of longtime watchmakers went out of business and a few others ended up merging with other companies to survive. Eventually, the industry began to emphasize their timepieces as luxury items that stood in sharp contrast to the plastic and stainless steel quartz watches of the time. 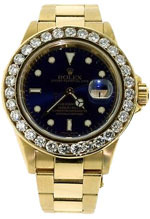 While a few companies, such as Rolex, dabbled a bit in quartz watches, a few diehard makers simply made the effort to make their mechanical products more accurate and more desirable, by adding more gold and/or diamonds and by reducing production to increase scarcity. The situation today is a bit different. Most people carry a cellphone, and cellular telephones have the ability to display the time. That means that for the majority of consumers, a wristwatch is no longer a necessity, but instead is a luxury item or a fashion accessory. People buy luxury watches because they enjoy them, but few people buy a Swiss watch because they need them. Adding to the problem is the fact that the smartwatch has begun to make inroads into the watch market. 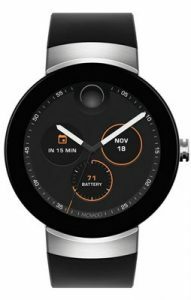 While smartwatches have been available for a few years, last year’s introduction of a model from Apple has made the public more aware of the availability of smartwatches, even if people haven’t exactly flocked to buy Apple’s particular version of it. Most people don’t give a whole lot of thought to wristwatches, even if they own a few. They’re basic commodities, such as a wallet or shoes, and they put them on, wind them or replace the batteries when necessary, and otherwise don’t think about them often. Other people are obsessive collectors, who are interested in every facet of wristwatch design and function. These people tend to be aware of even the most obscure of watch terms. In between, are consumers who would like to spend their money wisely in order to buy a watch that suits their taste and their budget. They’d also like one that will last a long time. In order to make a wise purchase of one or more watches, one needs to be familiar with some basic watch terms. That way, when you’re reading reviews of various designer watch models or brands, you’ll understand exactly what the review is talking about when they describe a crown, a bezel, or a tourbillon. In this post, we’ll go over a few basic watch terms with which buyers should be familiar in order to make a good decision when buying a designer watch. The market for wristwatches is a strange one, and right now, the entire industry is in a state of volatility. People weren’t overly concerned last year when Apple introduced their first smart watch, as gadgets like that weren’t expected to overly impact the fashion watch market. As the Apple Watch hasn’t exactly set sales records, no one was initially too concerned. But sales of new wristwatches are falling, yet the sales of vintage watches are on the rise. That’s kind of a strange notion, and there’s no question that smartwatches are hurting new watch sales. The latest company to complain about losing sales is Fossil, whose stock fell 29% this week after an announcement that sales were off. Smartwatches were assigned the blame.